Philip Koehler, Esq. is the Principal and CEO of ERISA Fiduciary Administrators LLC. Phil is a noted ERISA attorney, having represented thousands of organizations in the design and operation of their employee benefit plans, appearing on their behalf in the context of IRS and U.S. Department of Labor examinations, successfully challenging the government’s allegations and abating millions of dollars in threatened penalties, as well as negotiating favorable settlements of fiduciary breach and wrongful denial of benefits claims. 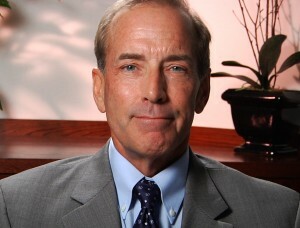 His clients include plans maintained by Avon Products Corporation, Carl Kartcher Enterprises, Conexant, DPAC Technologies, Fujitsu Microelectronics, Herbalife International, Republic Industries, Western Digital Corporation, Directors Guild of American – Producer Pension and Health Plans, Screen Actors Guild- Producer Pension and Health Plans, City of San Francisco and Georgetown University. Reviewed fiduciary liability insurance policies and negotiated with insurance carriers regarding adjustments to coverage. Phil has written extensively and spoken publicly on ERISA fiduciary responsibility issues. He is also Professor of Qualified Pension and Profit Sharing Plans and Executive Compensation in the LL.M. In Tax Program at the Chapman University School of Law in Orange, CA. Before becoming an attorney in 1991 and developing an ERISA practice in major law firms and accounting firms, Phil worked for Travelers Insurance Company and Pacific Life Insurance Company as a Group Pension Underwriter, where he was responsible for drafting plan documents and summary plan descriptions and explaining the complex terms of group annuity and group investment contracts to the company’s sales staff, as well as the policyholders. He then managed a third party administration affiliate of John Hancock Life Insurance Company and, subsequently, he became Vice President of Plan Administration for CPI Pension Services, a fee-for-service TPA, providing full plan administration services including reporting and disclosure forms preparation, nondiscrimination testing, employee communications, etc. to over 1,000 plans across the United States. In 2013 Phil was awarded the Registered Fiduciary Certification (RF). The RF Certification is based on the 2010 Fiduciary Standards of the Fiduciary Standards Board and validated by Dalbar, Inc. The Fiduciary Standards Board is a not-for-profit (501(c)(3)) organization established in September of 2000 to develop and advance standards of care for fiduciaries. The Fiduciary Standards Board is independent of any ties to the investment community and therefore positioned to be a crucible for advancing fiduciary standards throughout the industry and to the public. RF (Registered Fiduciary), DALBAR, Inc.
FDE (Fee Disclosure Expert), DALBAR, Inc.